One of the things I love most about traveling is seeing what fiber artists in different regions are learning about. The commonalities and differences never cease to amaze me. I might see spinners everywhere I go with the same shawl pattern on their knitting needles, yet what might be described as “basic” textile knowledge can vary so much. One community of spinners might be well versed in drumcarding, while another group has very little drumcarding experience but is very experienced in dyeing with mushrooms. I had a wonderful time getting to know the fiber folks who attend this event each year. I met many spinners working with carded cloud, which is less common is some areas of the country. 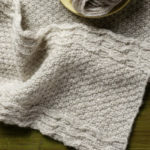 Kelly Knispel is the color genus behind Dakota Carding and Wool [link to: http://www.dakotacardingandwool.com/] and Biotayarns, producing gorgeous cloud, handspun yarns, and textiles. 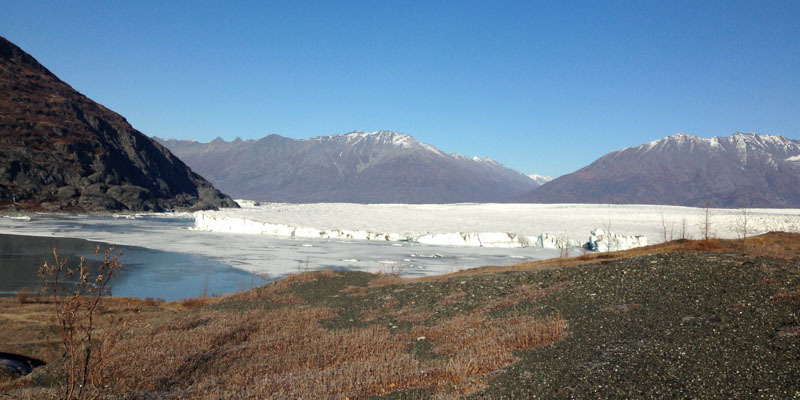 The fiberistas I met while teaching in Anchorage were incredibly talented and excited about their work. Laurie Sitiewicz of EWEnique Creations and Fiber keeps local spinners well-supplied with a full inventory of handpainted combed tops, dyed locks, and her own line of fabulous batts. I was lucky to leave Alaska with a series of batts Laurie designed to look like the Northern Lights! This was the third year for Sauder Village’s fiber event, which continues to grow each year. I was able to spend a bit of time with Betty Barry of the Little Shop of Spinning in the vendor hall. 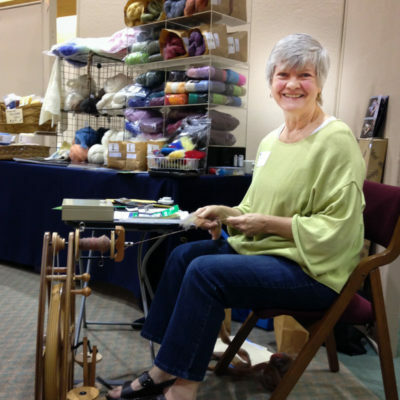 Betty is an experienced natural dyer and has shared her love of color with her guild, the Fort Wayne Fleece and Flaxers. Her shop also carries a variety of spinning treats. 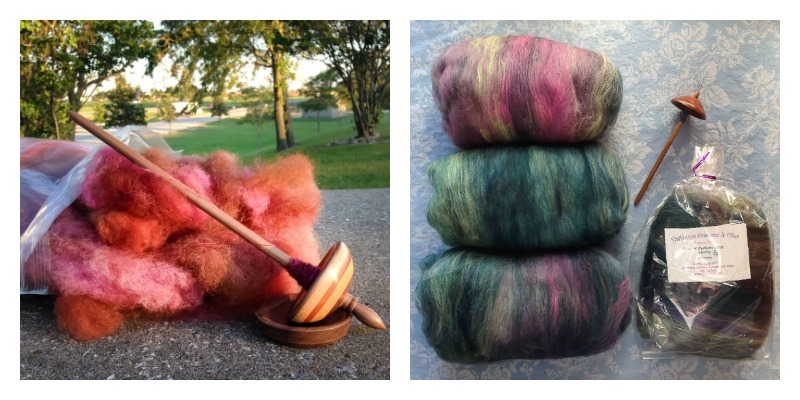 I bought some Kromski Polish Merino dyed tops—I love using it to spin embroidery yarns. While I enjoy being at home for the next few months and spending more time with my family (both human and woolly), I’m looking forward to my fiber travels in 2017. Adventures await!